Phineas and Ferb and good ole Perry are my 5 year olds very favorite characters of all time! Think he likes Perry just a little bit?? Guess how excited he was to review a Ninteno 3D game all about his favorite characters!! Ecstatic!! It is recommended that 3D mode be played with ages 7 and up so he played in 2D and still loved it. He was able to explore ancient temples, underwater caverns and the moon. By far his favorite game of all time! I think this game would be well suited for younger kids as it did have some easier elements, but then there were some times he had to have his 14 year old brother help him out. I think elementary and tweens would be great with it, though everyone would love Perry and his antics! 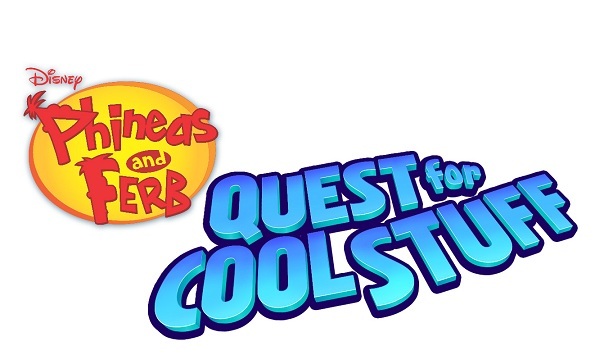 www.questforcoolstuff.com for additional Cool Stuff! Sounds like he had fun...maybe even some good bonding time with his brother helping. I like how this fits a couple age ranges. My grandson is just getting out of Phineas and Ferb but still enjoys the show. I think he would have a good time playing this in the 3D mode. 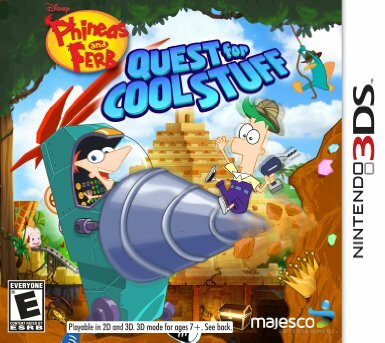 My son loves Phineas and Ferb I am sure he would love to try out his game. Those pajamas are too cute!